Born at Winnipeg on 21 September 1931, son of Joseph Henry Goldsborough (1896-1982) and Victoria Speed (1897-1974), grandson of John Fletcher Goldsborough, he grew up on the family farm in the Ferndale district in the Rural Municipality of Macdonald. He attended Ferndale School and Starbuck High School, graduating from the latter in 1948. At the age of 16, after six weeks of training at the Tuxedo Normal School, he began a 37-year teaching career. He began at Overhill School where he was responsible for a class of 33 students, some just slightly younger than himself. In 1949, he returned to Normal School to obtain his formal teaching credentials then spent two years at Hamiota School (1950-1952). In early 1953, he was hired by Graysville School where he stayed until 1956. In 1957, he began teaching at Britannia School, beginning an affiliation with the St. James-Assiniboia School Division that was to last for the remainder of his career. In 1958, he moved to Deer Lodge Junior High then, in 1963, was promoted to Vice-Principal of Bannatyne School. Three years later, he returned to Deer Lodge as its Vice-Principal and, in 1968, he succeeded Lyall Sims as the Principal of Bannatyne, overseeing the opening of a large, new addition and demolition of the original building in 1970. While working full-time, he received BA (1966) and BEd (1971) degrees from the University of Manitoba. Throughout his life in Winnipeg, he was active in sports, spending 17 years as a basketball referee at the high school to senior men’s levels, and organizing the Charleswood Linament Softball League and the Charleswood Men’s Slo-Pitch League. He was Umpire-in-Chief and Commissioner of the Charleswood Little League and he served 12 years with Cubs and Boy Scouts groups in Charleswood. 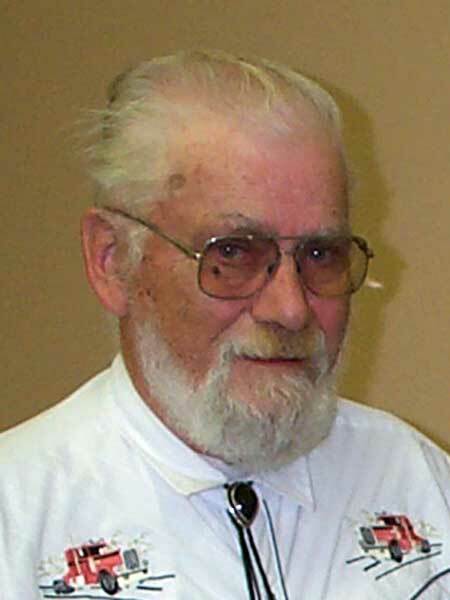 For 17 years, he was a member of the Board for Charleswood United Church. After five years at Bannatyne School, he was appointed the first Principal of Alexander Ross School, overseeing a student body spread across seven buildings in the division until a new school was opened in March 1976. He served there until 1979 then was Principal of Strathmillan School until 1984. His last teaching post was as Principal of Stevenson-Britannia School, from which he retired early, in June 1986, to realize a long-time dream to return to the farm. On 10 August 1957, he married Joan Hodgson (1937-2016) of Stephenfield and had three children. In retirement, he organized the Starbuck Cemetery Board and served on the Starbuck Hall Board, Starbuck Park Committee, RM of Macdonald Heritage Advisory Committee, and Starbuck United Church Board. He was an active participant in the Starbuck Dinner Theatre. Products of his home woodworking shop included the Starbuck town sign that greets visitors to the community, the replica grain elevator beside it, a sign for the Starbuck Hall and Starbuck Recreation Centre, and numerous hand-made gifts for friends and family. An enthusiastic local historian, he compiled information on the history of the Ferndale area for the Sanford-Ferndale history book, and helped with the 125th anniversary celebrations of the RM of Macdonald. Always an avid gardener, he fed people throughout the countryside with the products of his enormous garden, and he routinely supplied Winnipeg Harvest with quantities of potatoes and other vegetables. He died at Winnipeg on 19 March 2012 and was buried in the Starbuck Cemetery. Obituary, Winnipeg Free Press, 21 March 2012. Obituary [Joan Goldsborough], Winnipeg Free Press, 26 November 2016.